As a city, Detroit is talked about by many. It is home to 700,000 residents. The barriers of entry for pop-up businesses are low, making it an excellent option for those who’re looking to set up small businesses. Because of its relaxed business laws, Detroit is an ideal location for budding business owners; business personnel are flying from all over the country to explore the city and see what Detroit as to offer. Whether you’re visiting Detroit for business, leisure or even if you’re a resident, First Class Airport Sedan is at your service! We offer airport transportation to and from Detroit Metropolitan Airport (DTW). Book our Professional airport shuttle service and our sedans will be at the airport waiting to pick you up. Forget about waiting in long lines for a taxi; simply book our metro car service for transportation around Detroit. Our chauffeurs know all the routes of the city so you don’t have to worry about getting lost. Haven’t booked airport transportation in advance? No problem, we provide ground transportation from Detroit airport. We also offer shuttle services for corporations who are expecting guests to fly in. Let us know your preferred vehicle(s), the date and the flight number, we’ll do the rest! Our chauffeurs will be at Detroit Airport on time, to meet and greet your guests and take them to their destination while they sit back and relax in our exquisite sedans/ SUVs. 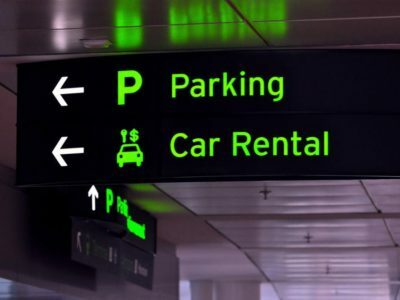 Traveling to and from the airport can be a nuisance when you have you haven’t booked a car in advance. People miss their flights because of not being able to find a cab in time! Flying is stressful as it is. It helps to know that you don’t have to make last minute arrangements to and from the airport. We provide 24 hours car rental services to and from Detroit Metropolitan Airport (DTW). You can choose from any of our sedans, SUVs or limousines depending on the number of passengers and luggage. All our vehicles are equipped with flight tracking devices so we’re always up-to-date with the status of flights, making sure you’re never late! Those looking for airport transport services to and from Detroit Airport can call (1)-888-402-2267 or email us at info@firstclassairportsedan.com for reservations. After a long flight, you deserve to relax at the back of our comfortable sedans. Our friendly drivers can pick you up directly from any of the two Detroit Metropolitan Airport (DTW) terminals: McNamara and North. Skip the long lines for a cab and opt for out convenient airport transport services instead. Our drivers know the ins and outs of the city so you don’t have to be concerned about getting lost or giving directions. Travelling with a large group of people? No worries, our professional limos can fit all of you. Book our limo services and our chauffeur will be waiting for you at the airport or any other location in Detroit. Sit back and relax. Enjoy the road as we take you through the busy roads of the city. Our limousines exude pure class and are equipped with heated-seats, surround sound stereo systems and a Wi-Fi services. Our fleet of vehicle consists of high-quality, comfortable cars, SUVs and limousines, available at affordable prices. We want to be your go-to transportation and shuttle services provider in Detroit, Michigan which is why we only provide the best drivers and vehicles. Take a look at our fleet and book your vehicle of choice!